When I returned to Hawaii to visit some of my relatives at the beginning of 2012, I was able to try a new sport for the first time: stand up paddle boarding (also known as SUP, or stand up paddle surfing). This old traditional style of surf rowing was never previously considered a sport on its own, but in the last few years it has really become popular and now there are even paddle board championships held throughout the world. Luckily one of my relatives who lives in Hawaii, had already been paddle boarding for a few years so I had a board to get started. It proved to be a lot more fun than I had imagined, and great exercise too. Hawaiians, being the first to discover surfing on waves, are also credited with first practicing stand up paddle boarding. It was initially just a convenient and more effective way to get from the shore out to sea where the waves were breaking. 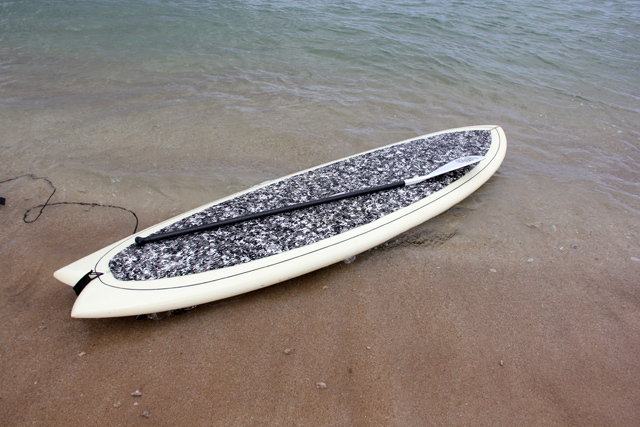 In order to stand up paddle board, there are three necessary objects: a thick long surfboard that's specifically designed for the sport, a long-handled paddle, and a body of water. To keep the explanation as simple as possible, someone stands in an upright position on the board and rows through water using the paddle. Apart from technique and lots practice, that's just about all there is to it. Beginners paddle in calmer water while experts can even take on giant waves in the middle of paddling. After catching a wave while surfing the normal way, you have to lay on the board and painfully paddle back out to catch another wave. With stand up paddle boarding after catching a wave, you just paddle back out while still standing. It's possible to catch a lot more waves in a shorter amount of time. At first it's very hard. But unlike skateboarding or even normal wave surfing, stand up paddle boarding gets easier much faster. When I first jumped on the board I couldn't keep my legs from remaining steady, so I'd shake, and then lose my balance and topple off the board. But after practicing for just thirty minutes or so, I was able to gingerly stand on the board and even get some very slow paddles in. 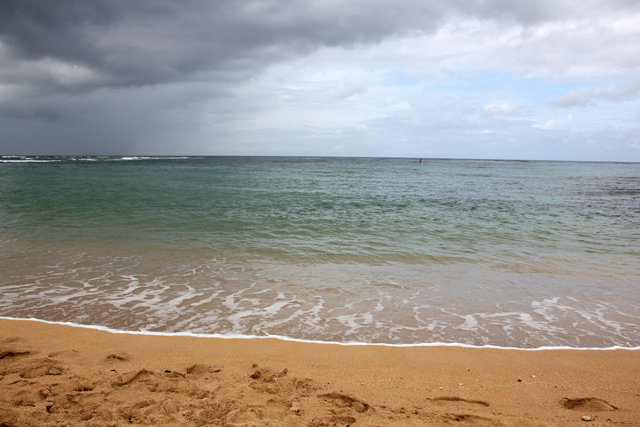 Then a micro 5 inch wave would roll in, and I'd be back in the water. A few hours later I was able to stand up comfortably and paddle harder and go faster, but still the choppy water would sometimes throw me off. After three days of paddleboarding all around, I felt quite comfortable on the board and I could paddle with all my strength to propel myself forward. I even took a 3 kilometer paddle board journey across the Hale'iwa coastline while paralleling the shore about 100 meters out. The learning curve is much faster than learning to surf on waves or skateboard. Progress comes quickly. When surfing waves you get a thrilling burst of a ride and then it's over until you slowly paddle with your hands back out and wait for another wave. Paddling a kayak is fun too, but unless the scenery is stunning, it can get a little boring hour after hour. Stand up paddle boarding is the ultimate sport that fits right in between. Gracefully gliding through the ocean while still having the freedom to stand up, ride waves, and jump in the water at any moment, was what I loved so much about my experience paddle boarding. I'm nowhere near ready to start paddling and riding large waves at the same time, but after a little practice, I felt pretty comfortable sailing through the calmer water. If you ever get a chance to try stand up paddle boarding, give it a shot! This is something that I’ve been wanting to do for a long time! Very exciting. The lake near where I live now offers lessons. If you want to try larger waves you could try a spot where there is a point break. Once you have caught the wave in you can paddle back around the outside of the breaking waves, saving the hassle of getting thrown off the board trying to get through them. 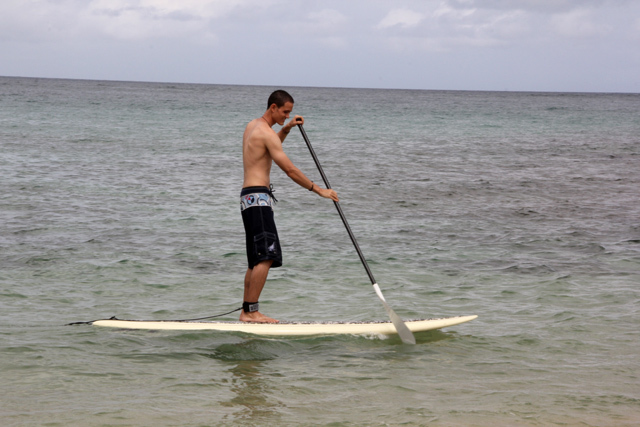 Learning to SUP in Hawaii is way cooler than in the local lake….either way though…I loved it too! I am looking forward to giving it a go in the new year (the lakes in Canada are a tad too chilly at the moment!) I hear in Hawaii they even do yoga on the boards. May take a little practice but it sounds like my kind of yoga! My goodness Hawaii looks great! I just started paddle boarding off the east coast of florida. Love it so far…great exercise for an old geezer like me. But I had trouble with balance at first. Thanks for sharing your story!